FOCUS AND CONCENTRATION IS A LEARNABLE SKILL. ​WHATEVER YOU BELIEVE TO BE TRUE... IS TRUE FOR YOU. ​IF YOU WANT BETTER OUTCOMES IN YOUR LIFE... YOU MUST BELIEVE BETTER OUTCOMES ARE POSSIBLE. HARNESSING THE POWER OF YOUR MIND IS POSSIBLE IF... YOU BELIEVE IT'S POSSIBLE. FACT - YOU HAVE THE ABILITY TO LEARN ANYTHING. ONCE LEARNED... YOU'LL HAVE THE ABILITY TO PRACTICE THE APPLICATION OF WHAT YOU HAVE LEARNED. NEVER ENDING PRACTICE AND APPLICATION OF A LEARNED SKILL IS WHERE MASTERY COMES FROM. 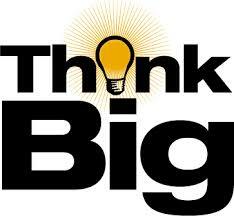 ​EVERYTHING YOU HAVE EVER ACCOMPLISHED STARTED OFF AS NOTHING MORE THAN A THOUGHT... AN IDEA IN YOUR OWN MIND. ​YOUR LEVEL OF DESIRE IS THE VOLUME CONTROL THAT DETERMINES HOW FAR YOU'LL GO TO LEARN ANY SKILL. YOUR CONSCIOUS MIND REPRESENTS 8% OF YOUR BRAIN AND PROCESSES SHORT TERM MEMORY. ​YOUR SUBCONSCIOUS MIND REPRESENTS 92% OF YOUR BRAIN AND PROCESSES FOREVER MEMORY. ​YOUR SUBSCONSCIOUS MIND IS THE AUTOMATIC PILOT VERSION OF WHERE YOUR THINKING TAKES PLACE AND GUIDES YOUR BEHAVIORS. --- ONCE LEARNED ITS TIME TO APPLY WHAT YOU HAVE LEARNED. ​--- OVER TIME, YOUR BRAIN WILL CONVERT YOUR NEW BEHAVIOR INTO A HABIT. ​YOUR NEW BEHAVIOR WILL CROWD OUT YOUR PREVIOUS BEHAVIOR MAKING YOUR RESULTS FAR MORE DESIRABLE. ​--- TO SPEED THE PROCESS TO BETTER RESULTS UTILIZE SELF-TALK. ONLY SAY OR THINK THOUGHTS THAT REINFORCE THE PERSON YOUARE BECOMING. ​RETRAINING YOUR BRAIN, ONE BABY STEP AT A TIME WILL BE WELL WORTH THE EFFORT. The difference between outcomes in life is learning skills and service to others over a timeline. That's why wealthy people who understand this are wealthy and poor people who don't yet know this are poor..